Early this month Google is rolling out some pretty drastic changes to the Google Ad Grants program, which provides up to $10,000 per month in free ad spend on the Google search network to 501c3 nonprofit organizations. It’s clear by the nature of these changes that Google is making a major push for quality. According to Google, these policy changes are intended to “raise standards of quality for our free advertising grants” program which currently serves more than 35,000 nonprofit organizations. One of the biggest changes is the new 5% click-through rate (CTR) floor, meaning the AdWords account must maintain a minimum of a 5% CTR, a significant increase over the previous 1% CTR minimum. Any grant account that doesn’t maintain at least a 5% CTR for two consecutive months will be deactivated. This level of CTR is typically achievable with branded campaigns, but it becomes much more difficult when you introduce campaigns promoting programs and services where keyword competition is much higher. Hurrah! 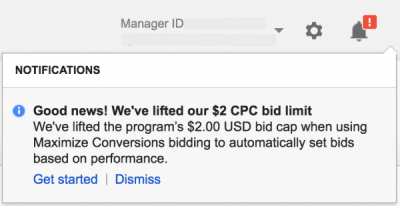 Google has removed the $2 bid cap on keywords! Just one small catch… in order to take advantage you have to be willing to use the bid optimization strategy called Maximize Conversions, which requires that conversion tracking/goals be configured within your AdWords account. The Maximize Conversions bid strategy uses machine learning to automatically set your bids to get you the most conversions and spend your budget. Google is now requiring each ad campaign within a grant account to feature at least two active ad groups, each of which must contain at least two active text ads (we recommend switching to expanded text ads if you haven’t already) and at least two active sitelinks ad extensions. The campaigns must make use of geo-targeting, which means if your programs are only available in your city, then you must refine your geo-targeting to reflect that. In addition, each ad group must include highly-targeted, long-tail keyword terms. Branded keywords that aren’t affiliated with your own brand. This means no more bidding on competitor brand names. Every grantee must complete the annual Google Ad Grants program survey, which you should receive by email. Visit the notifications center in your account to make sure you have email notifications enabled and then watch the inbox associated with your Ad Grants account for this email notification. Google has been pushing notifications through the AdWords interface in the product notifications section at the top of the screen. Be sure to monitor these notifications for any issues within your account. Although ad grant accounts that are non-compliant should expect to begin receiving notifications from Google this way, it does sound like these accounts will be given a little bit of time to make adjustments. Should your account be deactivated due to non-compliance, you can still call Google support and request reinstatement after you make the necessary changes to the account. YouTube recently announced some new ad formats that will allow viewing audiences to learn more about, and even buy, products and services without leaving the platform. 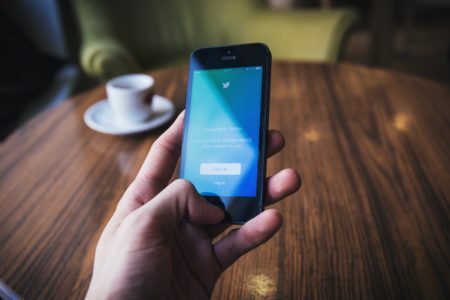 Learn how Apple’s recent paid social strategy with a hyper-targeted Twitter campaign earned the company extra exposure & directly impacted their earned media.